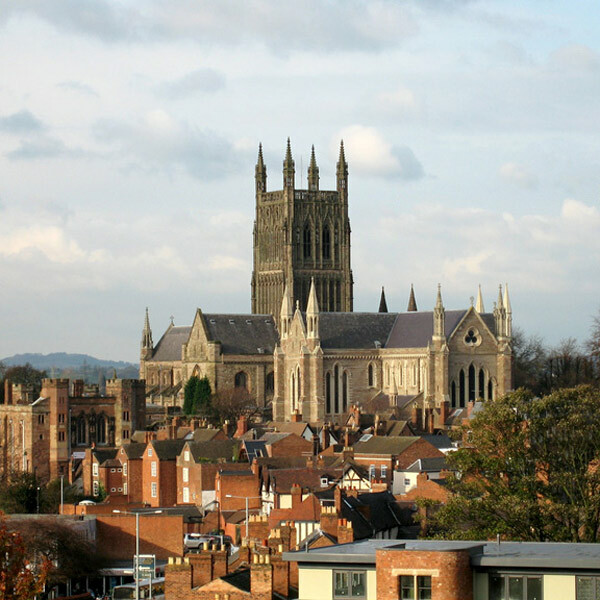 Built between 1084 and 1504, Worcester Cathedral is one of the most architecturally interesting of the English Cathedrals as different additions to the fabric represent every English architectural style from Norman to Perpendicular Gothic. 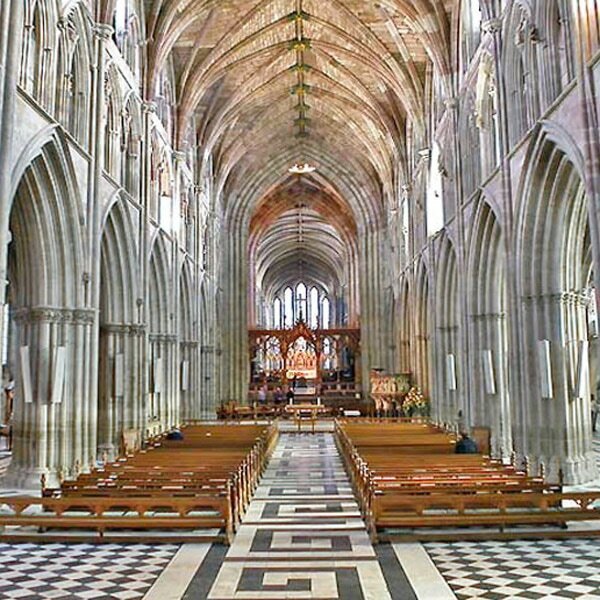 A previous restoration program was undertaken between 1857 and 1874 by W.A Perkins and Sir George Gilbert Scott. 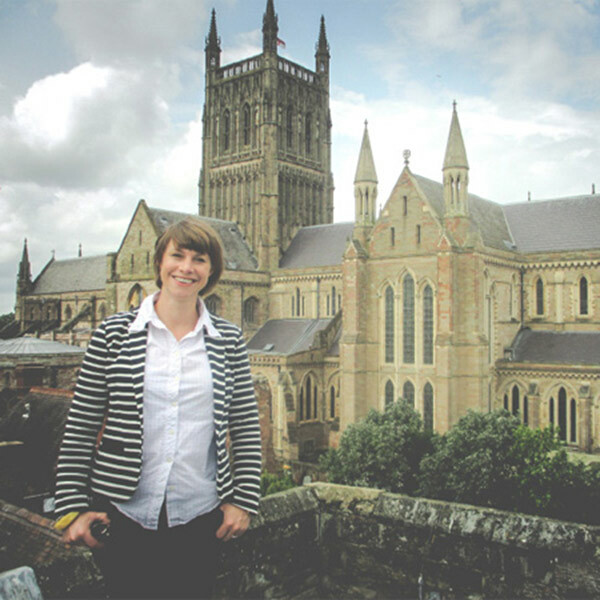 Camilla Finlay took up the appointment as Cathedral Architect for Worcester Cathedral in 2014. 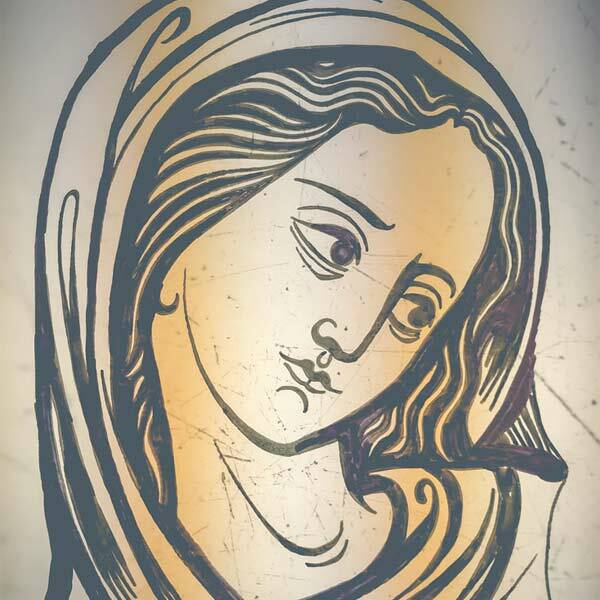 As part of the appointment Camilla will be continuing another series of major restoration works begun in 1988. 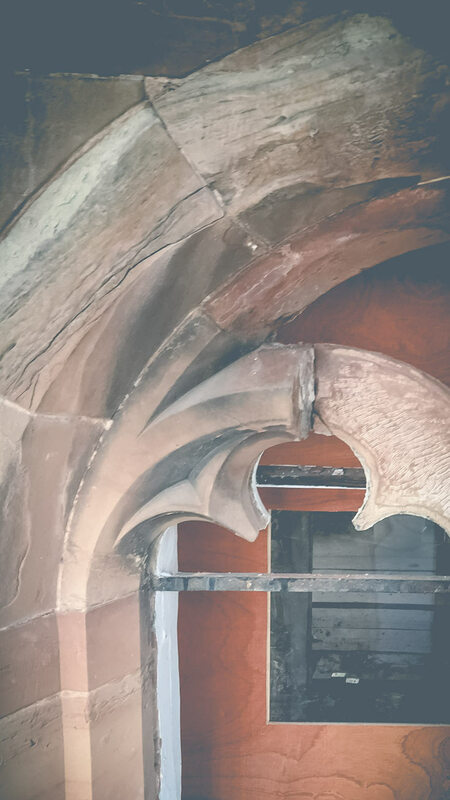 Currently ongoing on site are the rst of many projects including repairs to the stonework and doors of the Edgar Tower; in addition to repairing the ceiling of the Cathedral Library and restoring the Great East Window. Camilla’s role includes being the professional advisor to the Chapter on the fabric of the Cathedral Church and adjoining buildings. 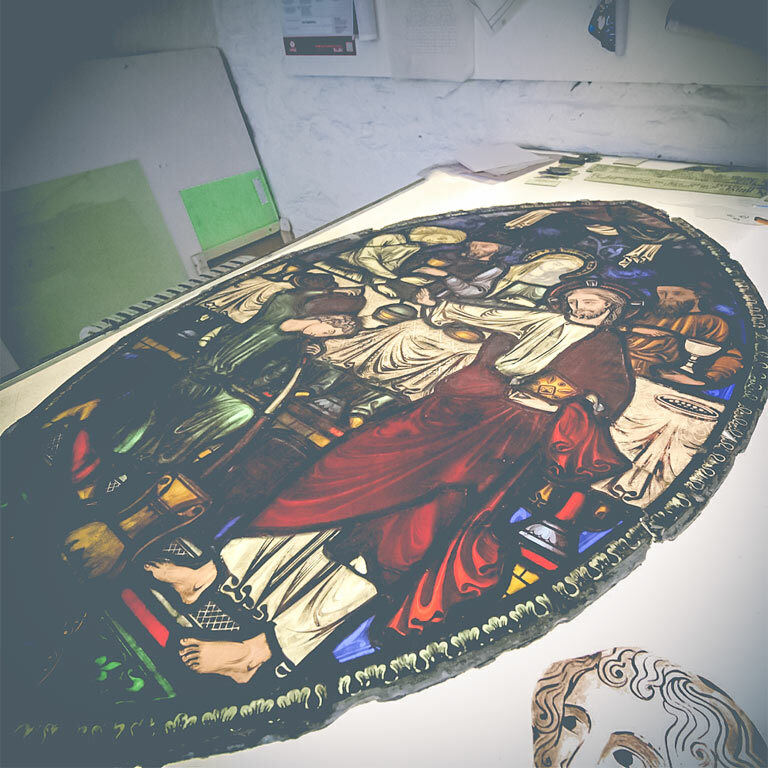 Other duties include preparation of quinquennial and annual reports, dealing with health and safety issues and carrying out repairs and development work. 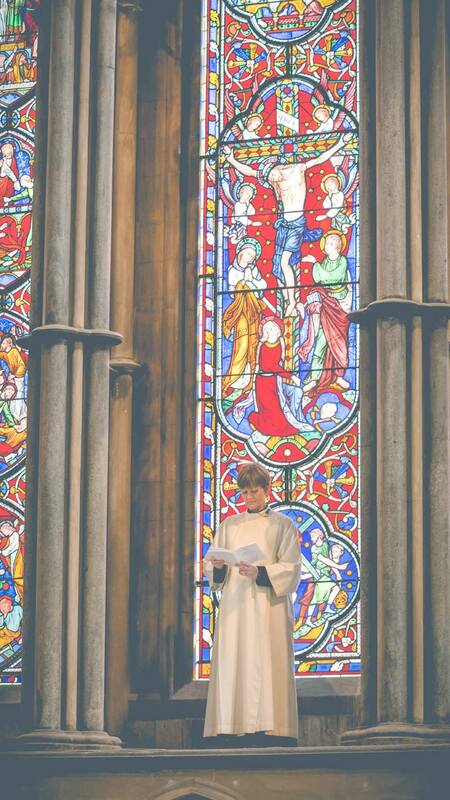 The stunning Great East Window is a highly significant artistic event at the east end of the Cathedral and the backdrop for all east facing worship within the Nave, Choir and Lady Chapel. 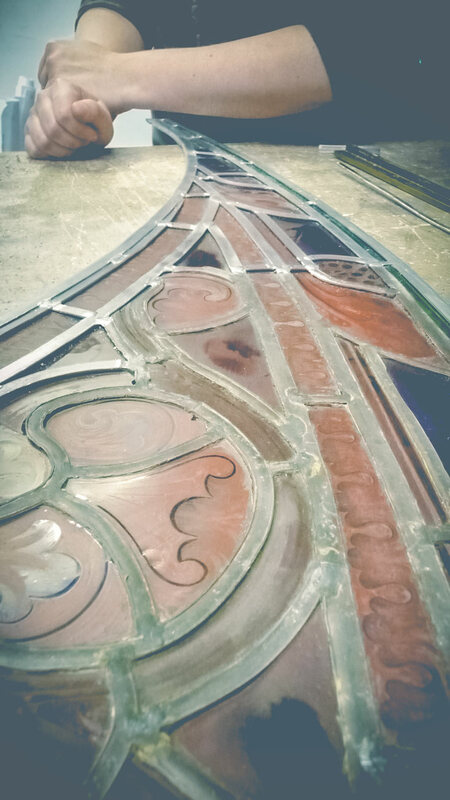 The window was designed and installed by John Hardman and Co of Birmingham in the mid 19th century. 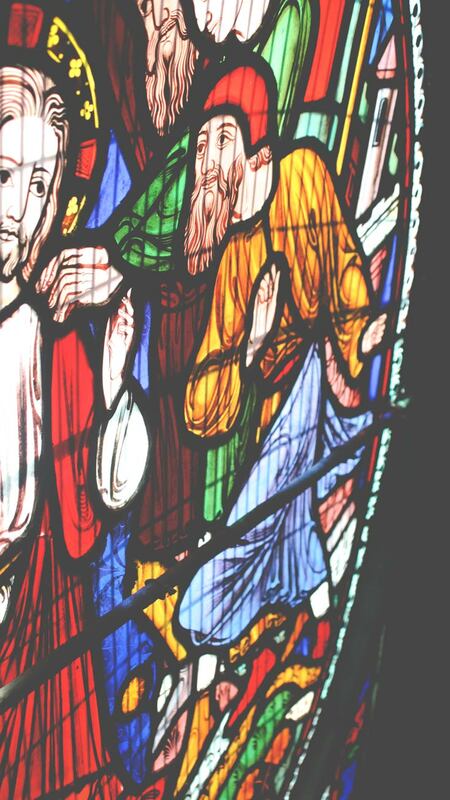 The poor condition of the East Window was highlighted by Chris Romain, the then Surveyor of the Fabric in his last Quinquennial Inspection and has been of great concern to our new Surveyor Camilla Finlay. 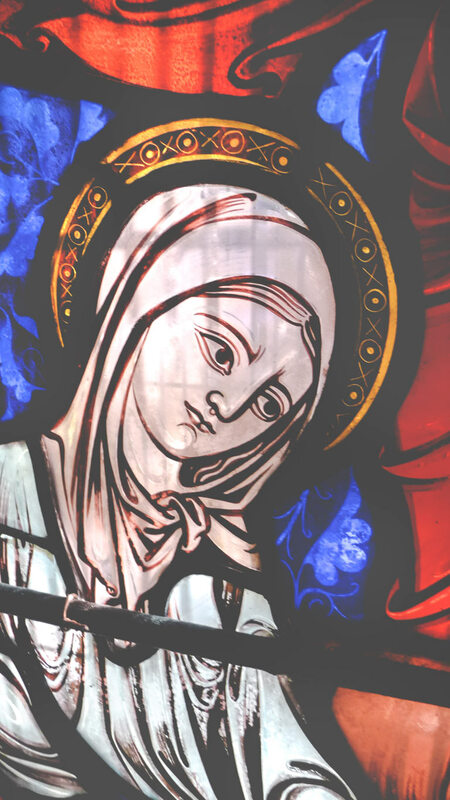 The Cathedral submitted an application to the First World War Centenary Cathedral Repairs Fund and successfully received a grant of £250,000 towards the repair and conservation of the stained glass and ferramenta. The external guarding is also under consideration. 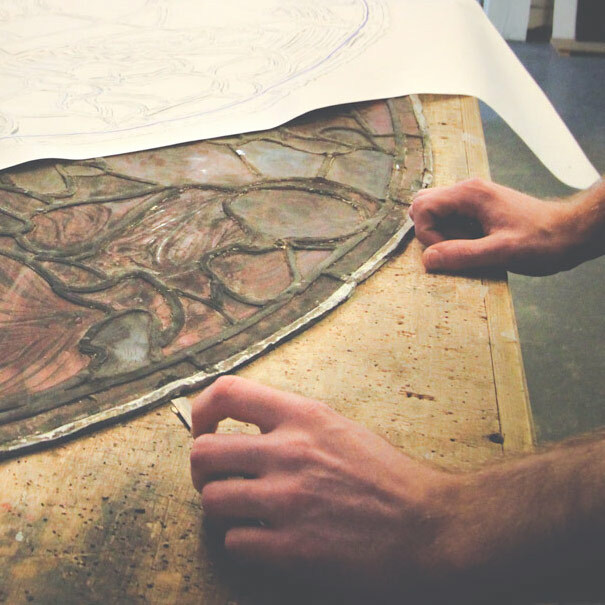 The work is being carried out by ICON (The Institute of Conservation) accredited stained glass conservators from Holy Well Glass based in Wells, Somerset. 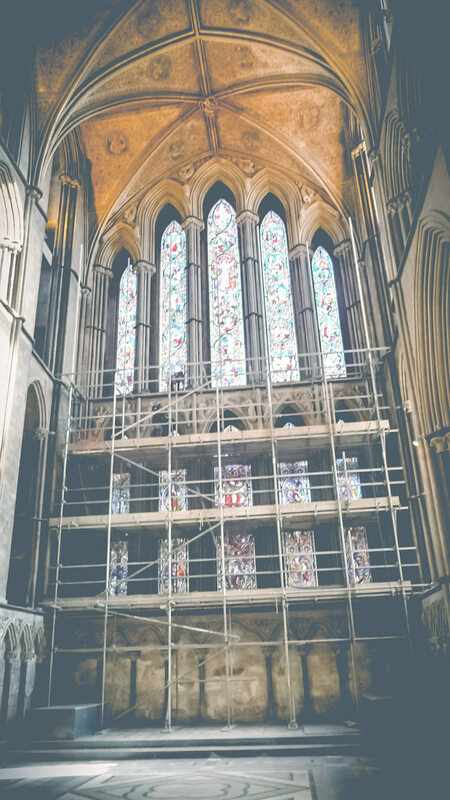 Work on the project commenced in March 2015 with the erection of both exterior and interior scaffolding. 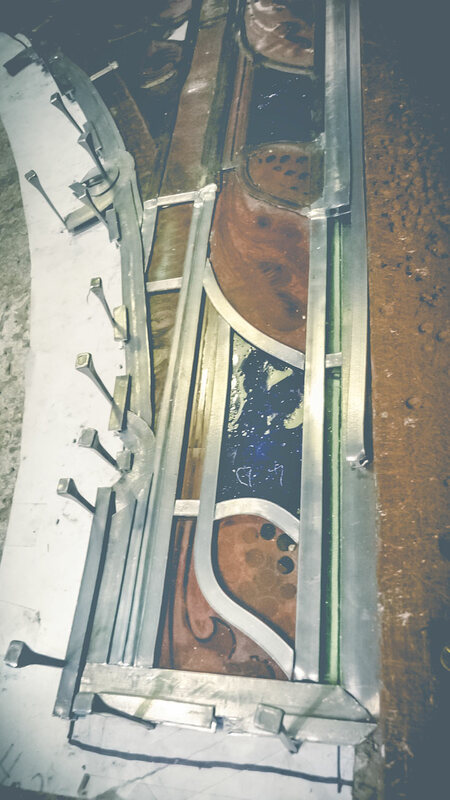 The glass in the upper tier of lancets has already been removed to the conservators workshops in Wells and temporary protective sheets of polycarbon have been tted in the window spaces. 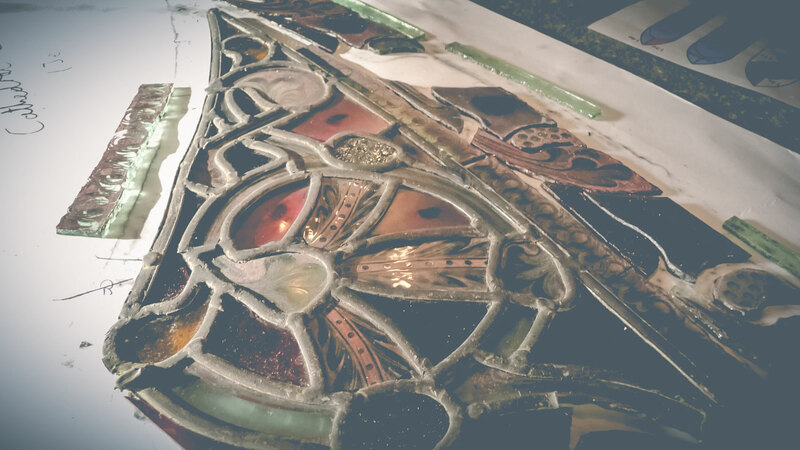 When the work on the upper tier glass has been completed it will be refitted and the lower tier will be removed and treated similarly. 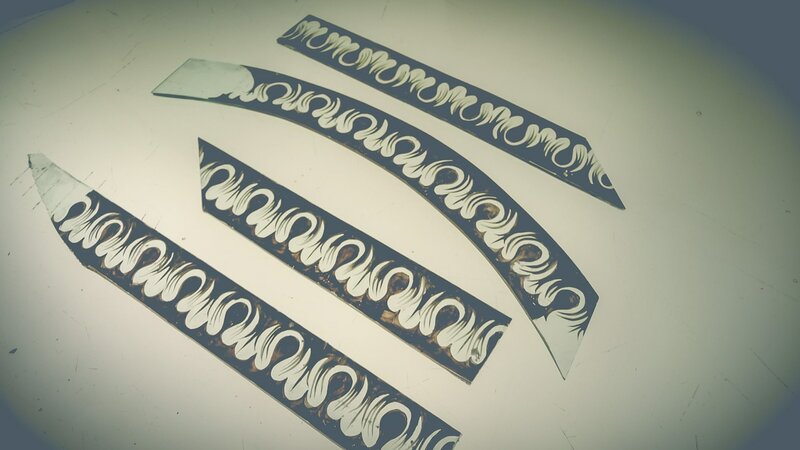 The whole project is anticipated to take 8 months and be fully completed in the Autumn of 2015. 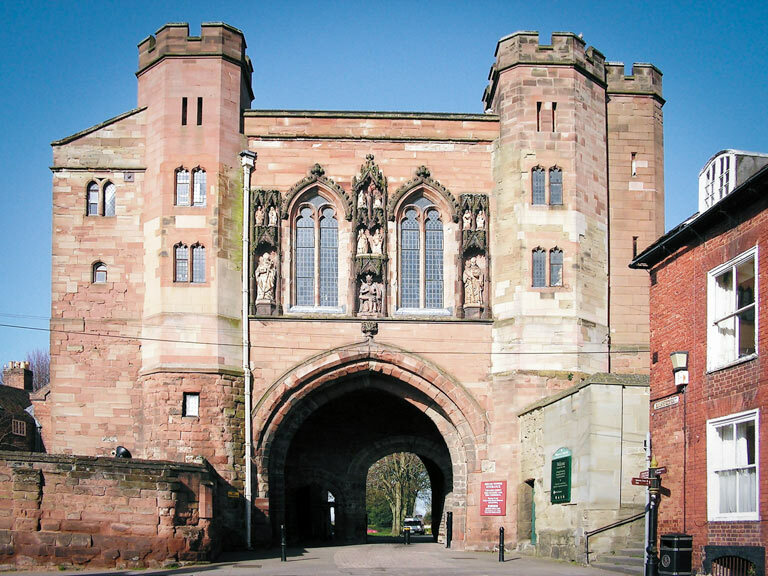 Edgar Tower (Scheduled Ancient Monument No 264), also known as the Great Gate, was completed in 1369 by the Prior Braunston. 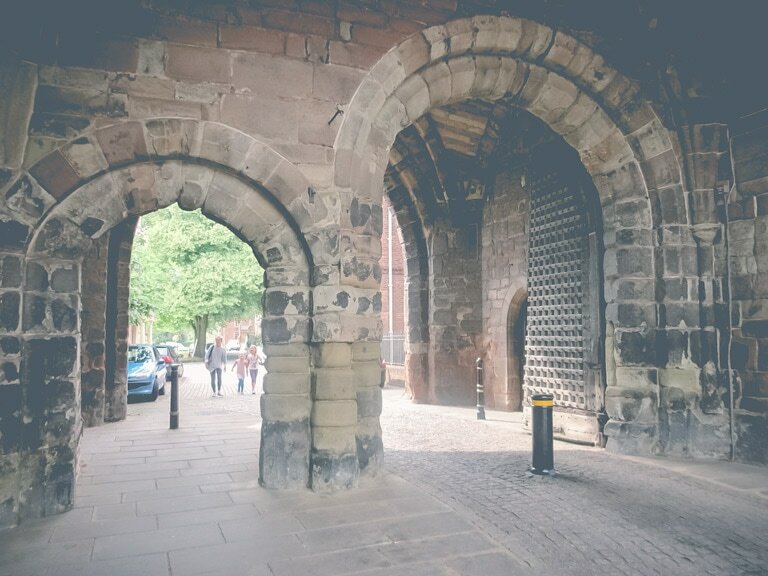 It appears to have been a residential Tower of high status with vaulted chambers in each turret and a Great Hall, used as a Court House above the gateway. 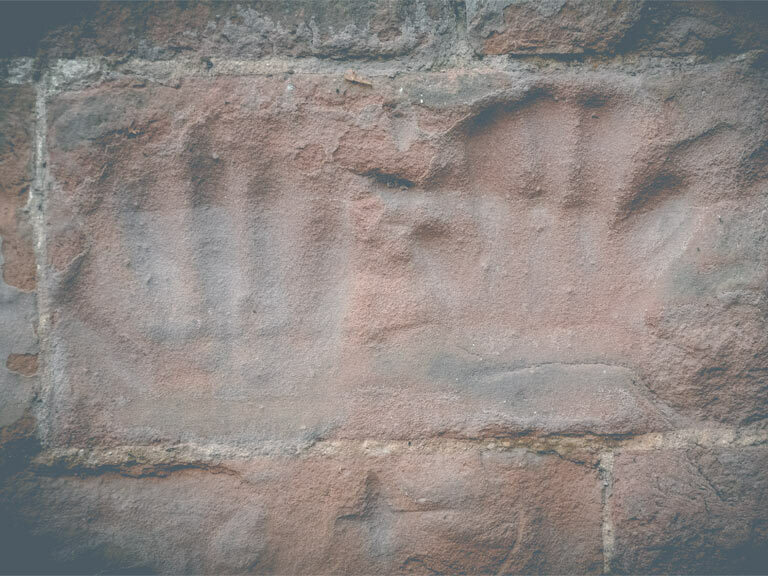 There are still sections of Norman chevron ornamentation built into the interior walls..
TheTower is faced entirely in red sandstone from quarries further up the River Severn. 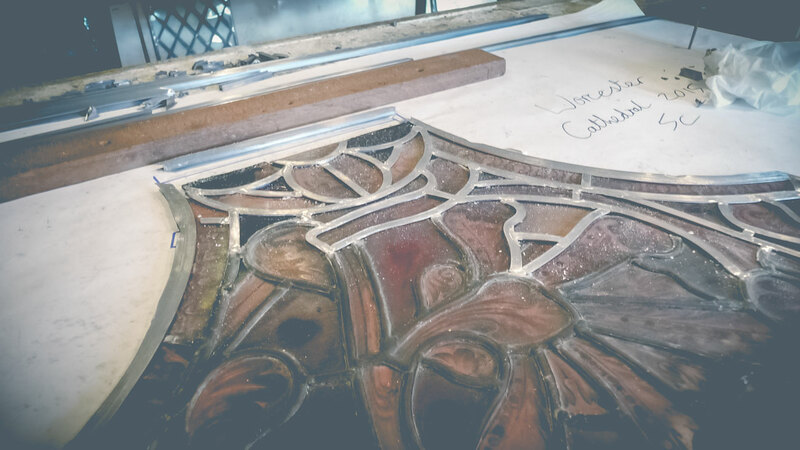 This local stone is highly calcareous and reacts dramatically with lime based materials making conservation challenging as most traditional conservation techniques are lime based. 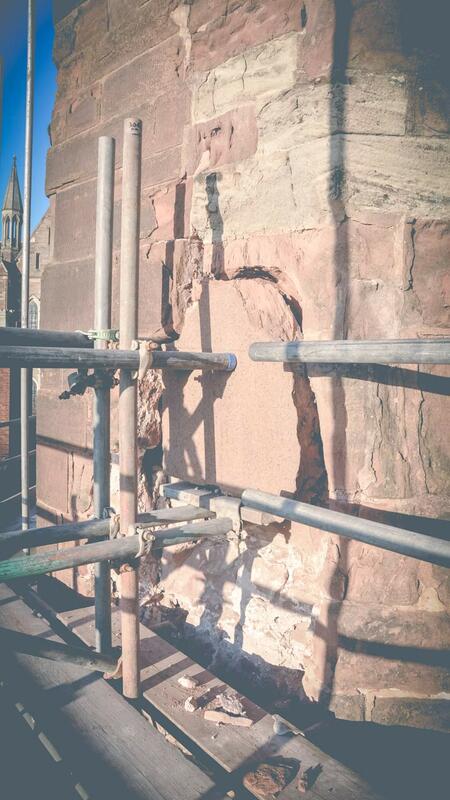 The condition of some sections of the external stonework of Edgar Tower has been of concern for more than 20 years. 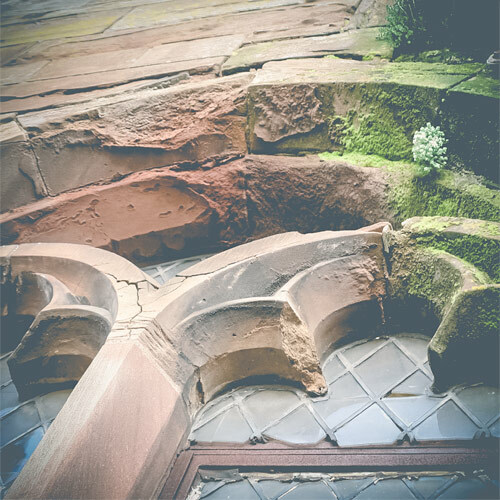 The 2011 Quinquennial Inspection Report confirmed that the condition of the stonework was very poor, particularly to the south west turret and that there was a risk of stones falling on to the roadway below. 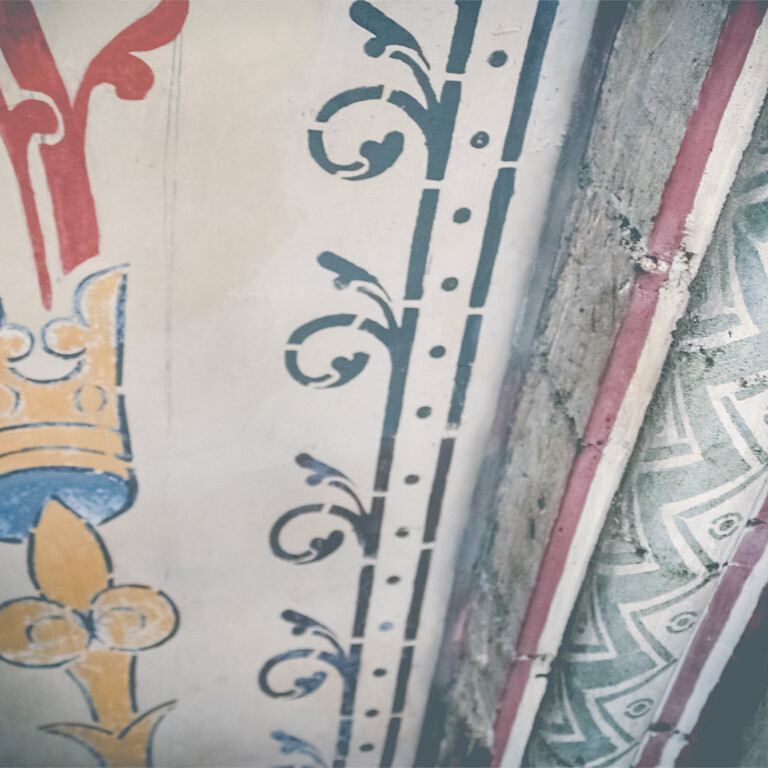 Urgent repair works were begun by the Chapter’s own in-house team of stonemasons in 2014 with further phases planned for 2015 and 2016. 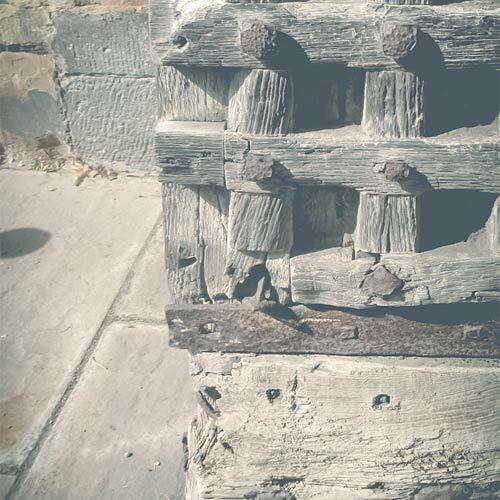 The repair and conservation of the great timber gates, which date from the 14th Century follow the first phase of stonework repairs. 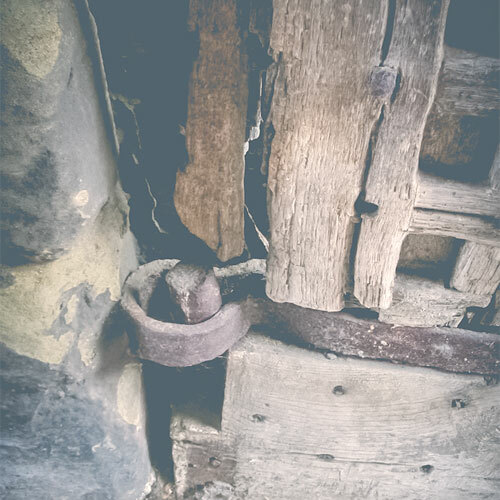 The first step in this process will be to carry out an in-depth survey of the gates today, carefully recording all the phases of repair, the construction in detail, condition of metalwork and all missing elements. 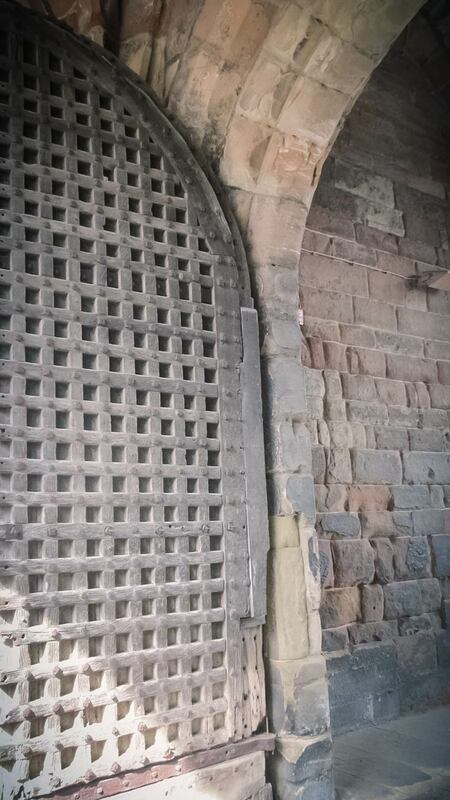 Alongside the condition we would also seek to better understand the significance of the gates through a heritage and typological assessment. 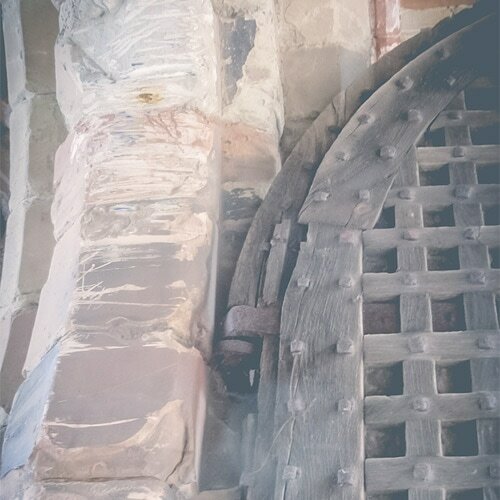 Once we have established how the gates are formed and function we can then design a programme of necessary repairs to support the function and conserve the gates in use – adopting a minimal intervention approach. 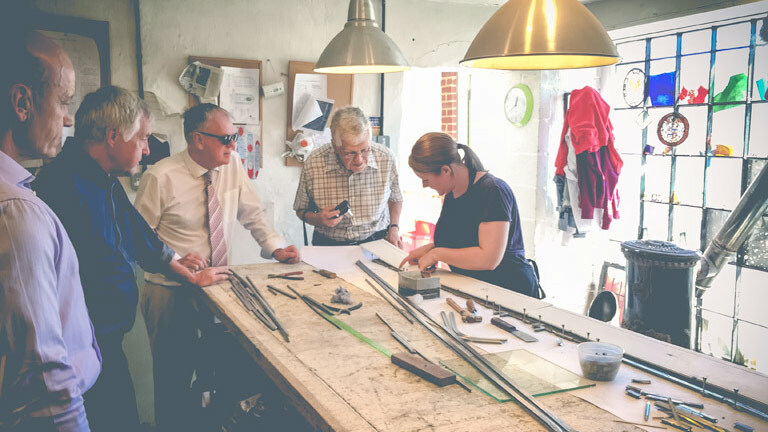 The process will require an experienced Conservation Team led by the Cathedral Architect and including the Cathedral Archaeologist, a Dendrologist, a Timber Specialist and a Structural Engineer.